With Batman day in comic book stores soon we thought it was time for a classic Batman cover. 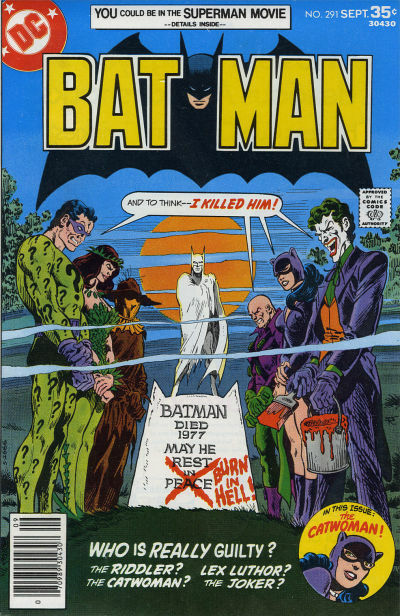 This cover by Jim Aparo features the villains each having claimed that they killed Batman and how they did it. This comic is believed to have inspired the famous Batman: The Animated Series episode "Almost Got Im" and features the most Batman villains in a comic at this point in the Dark Knight's publication history.